I like the conditional formatting icons. I am trying to present some business data where going down is good. How do I get a green colored down arrow icon? 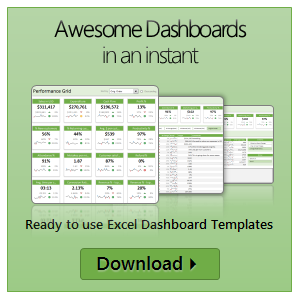 Unfortunately, Excel’s conditional formatting icons are not customizable. So we can’t get the green down arrows without some sneak. And sneak we shall.